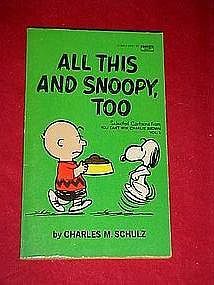 Another paperback Peanuts book by Charles Schultz. This one contains selected cartoons from "You can't win, Charlie Brown" volume 1. Very good condition. Contains all black and white comic strips. Last date 1962.